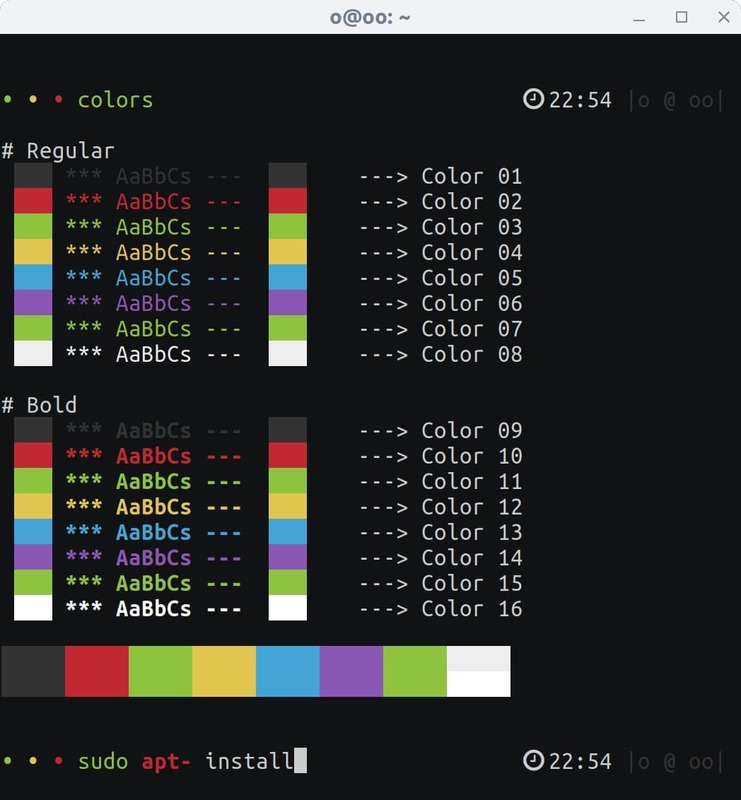 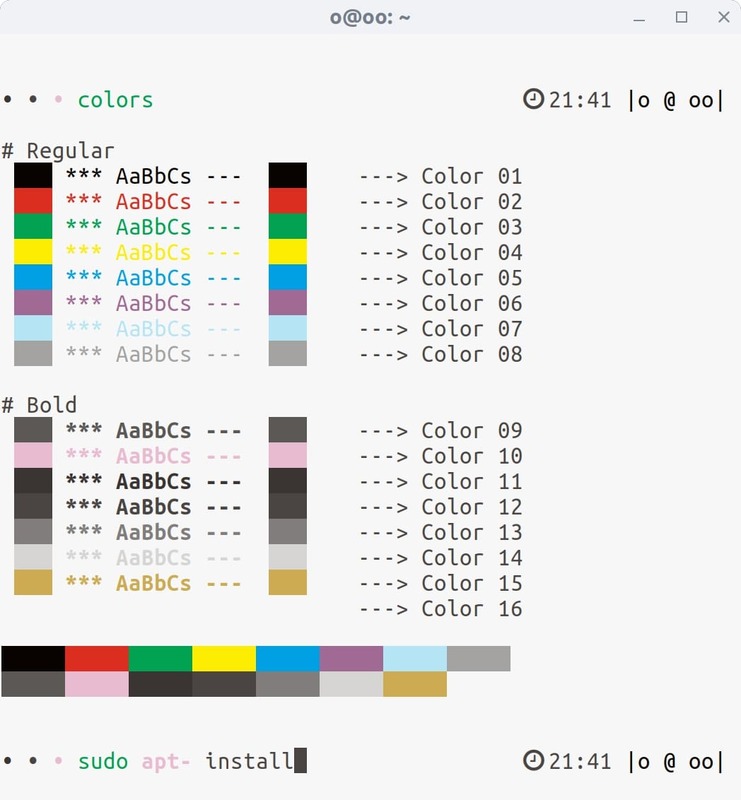 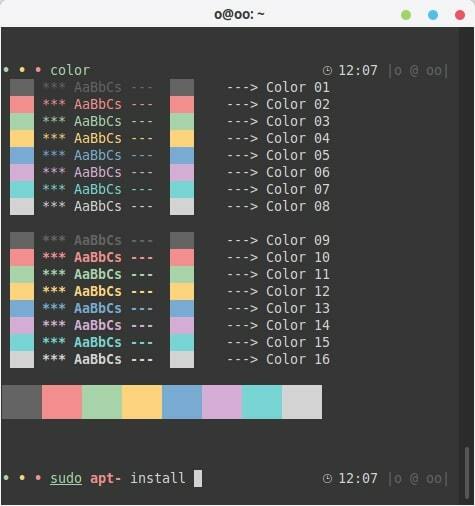 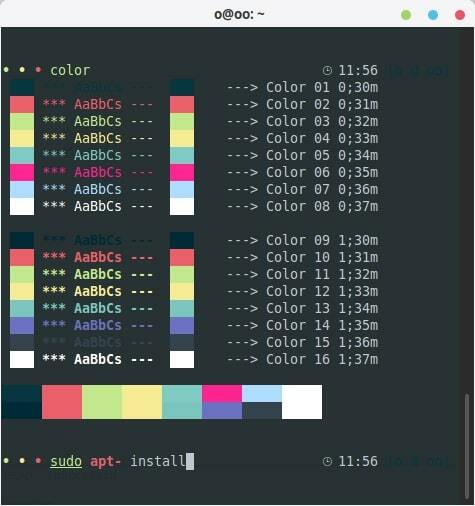 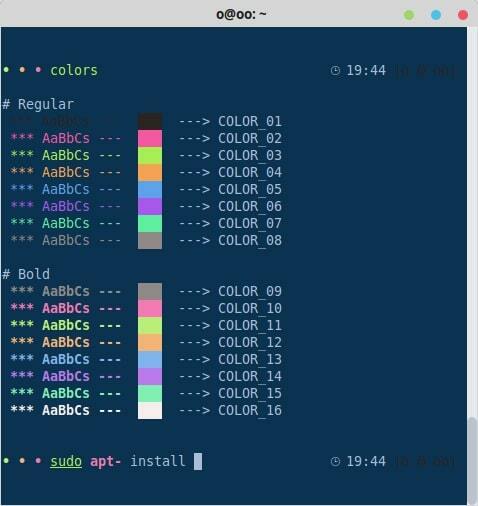 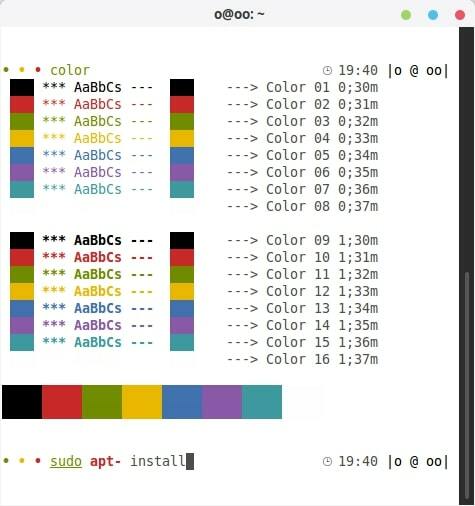 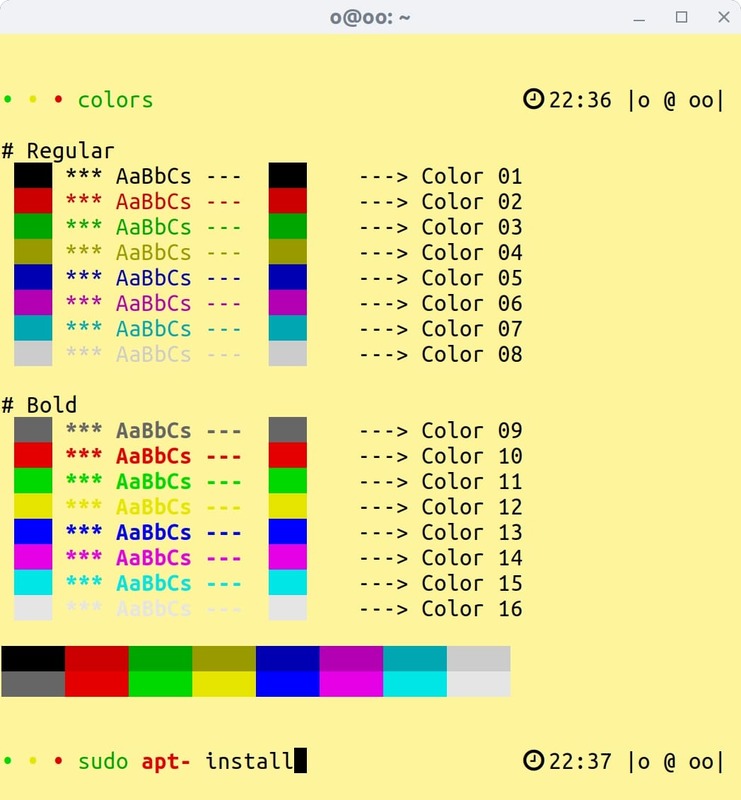 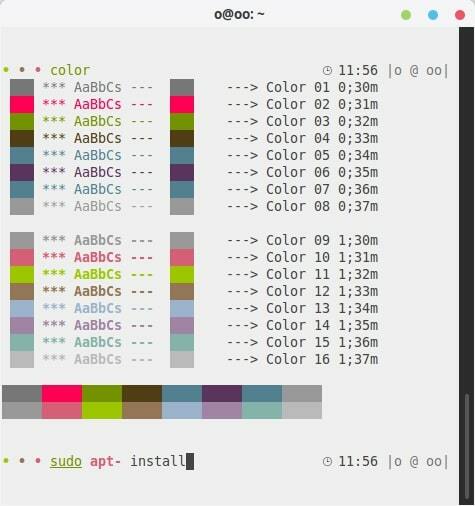 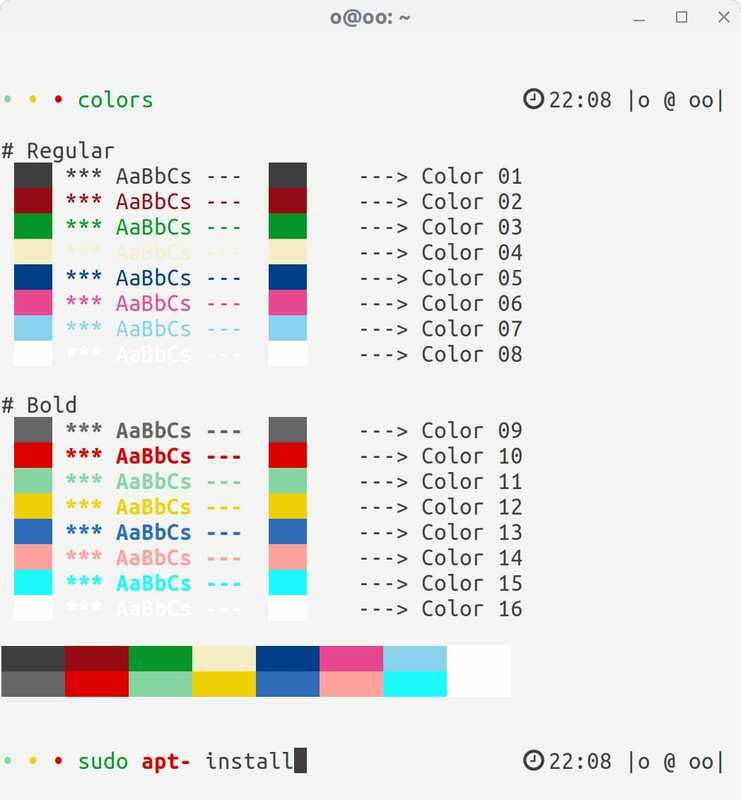 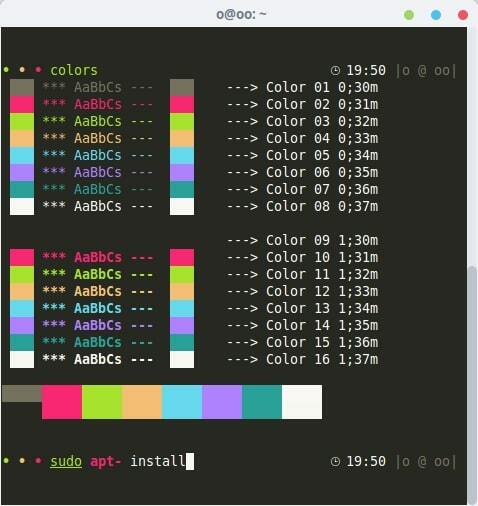 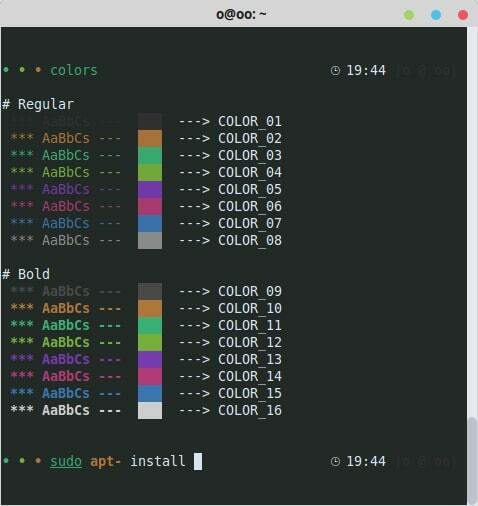 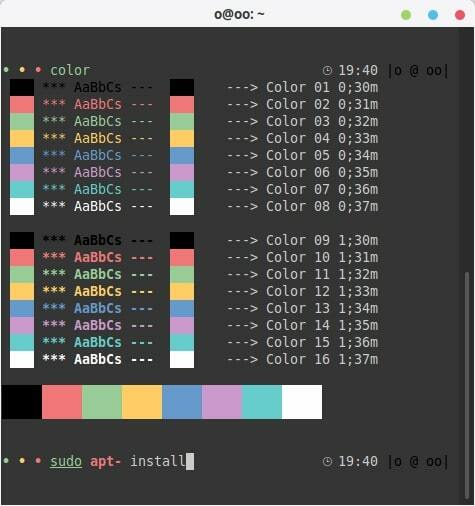 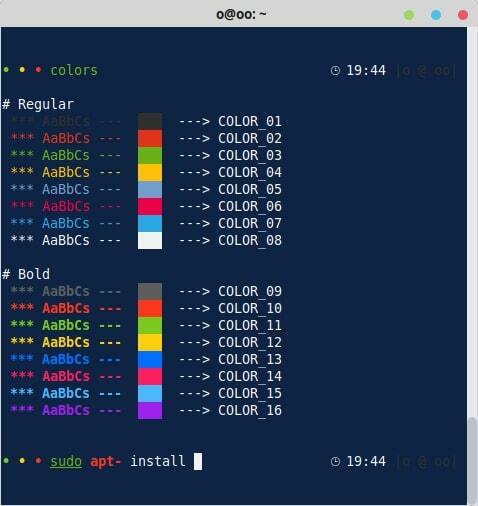 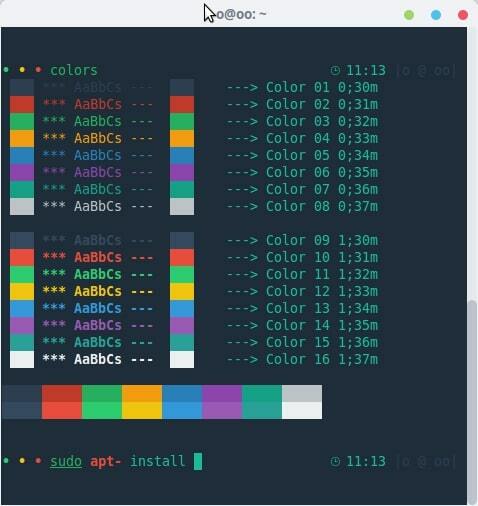 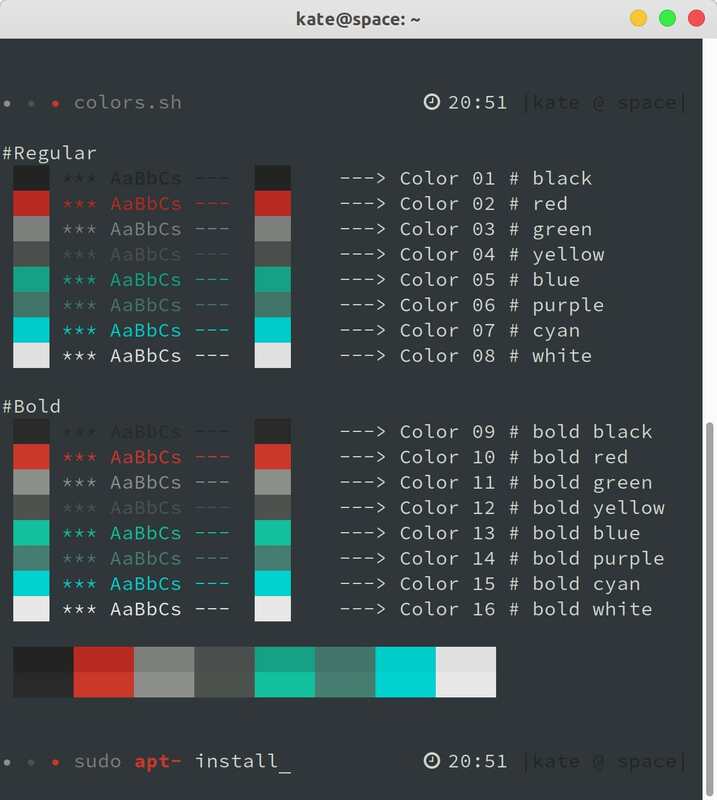 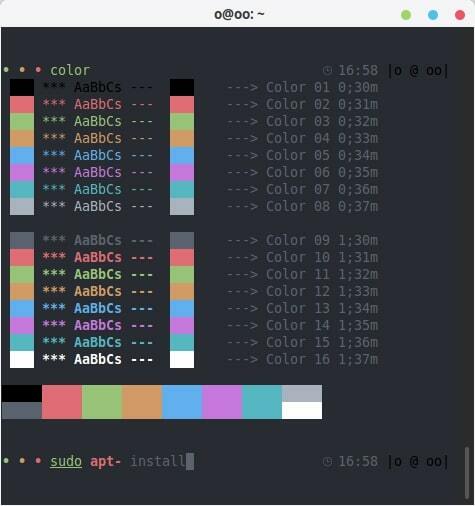 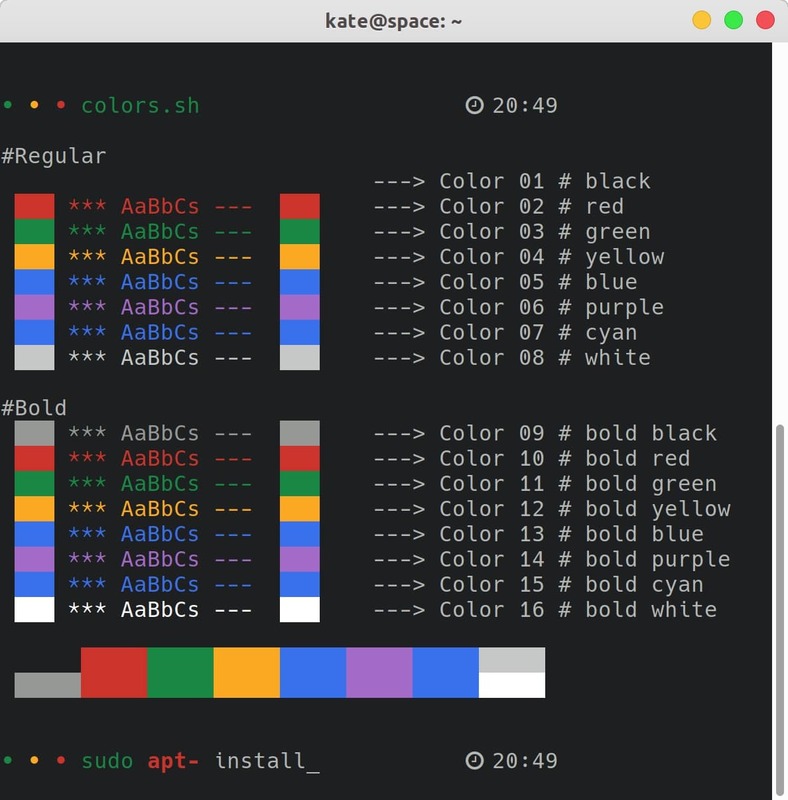 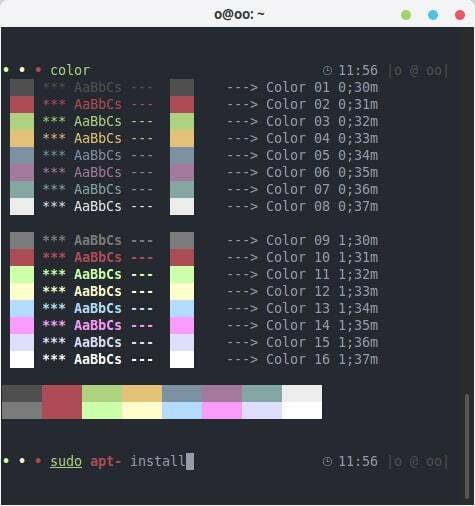 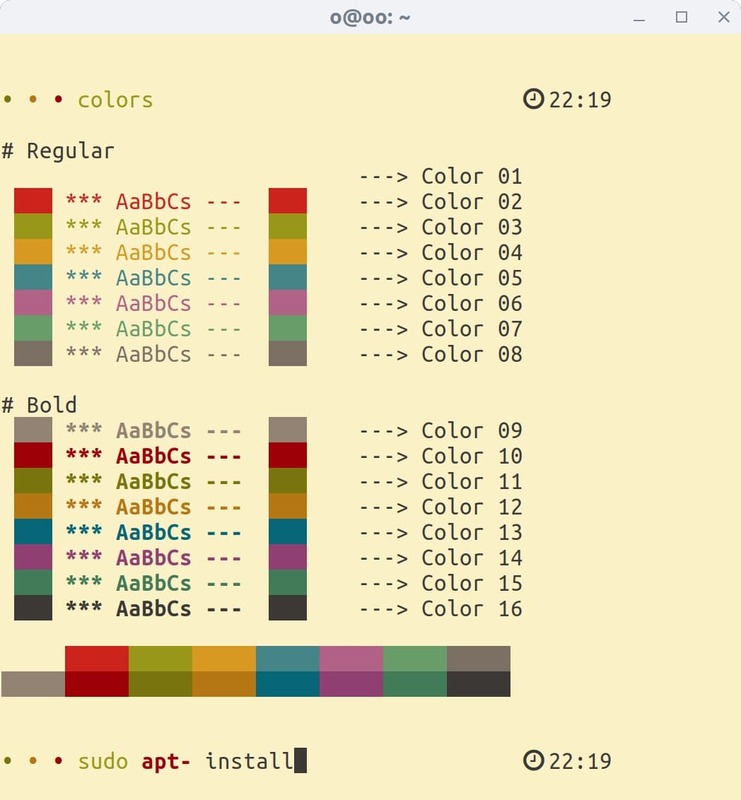 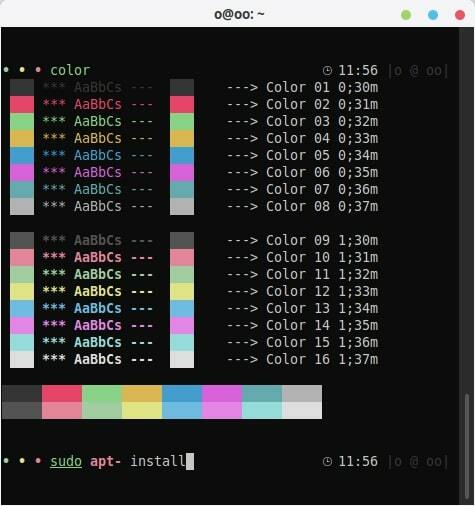 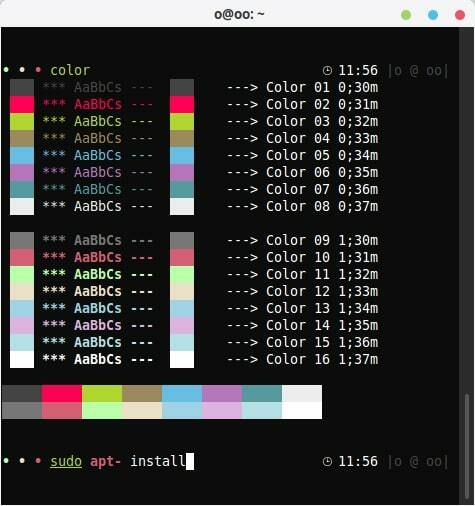 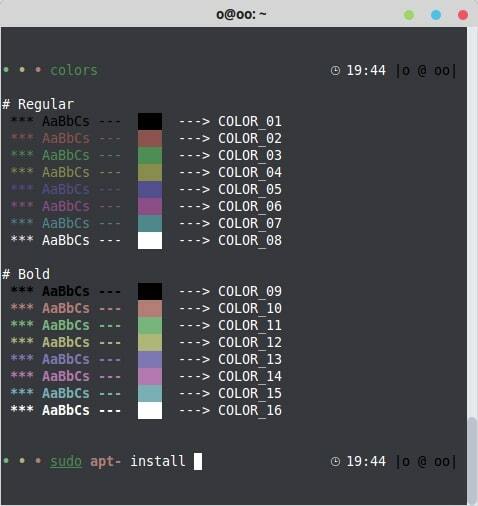 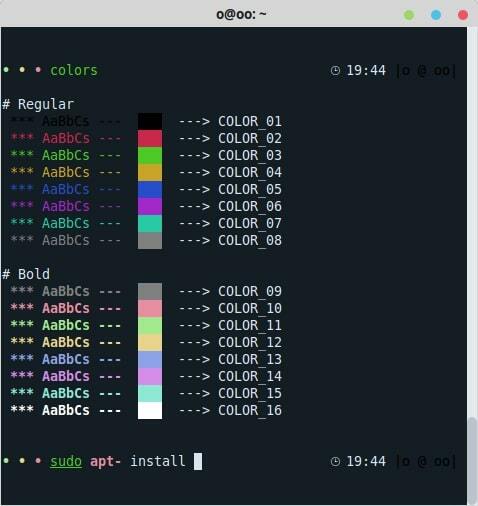 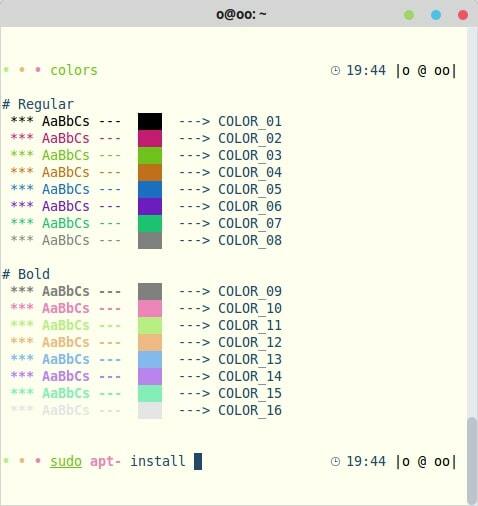 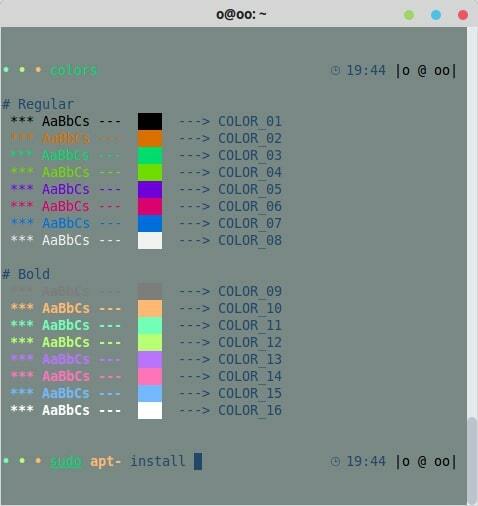 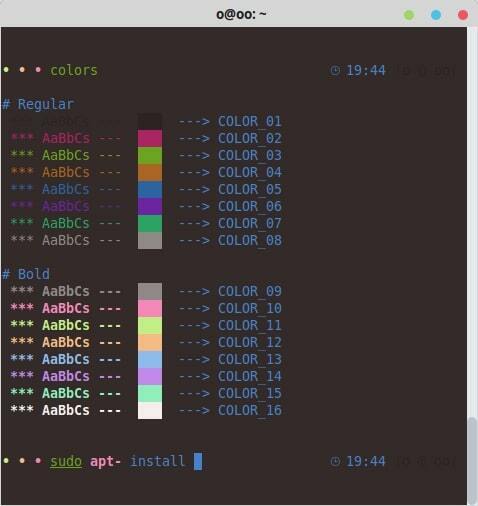 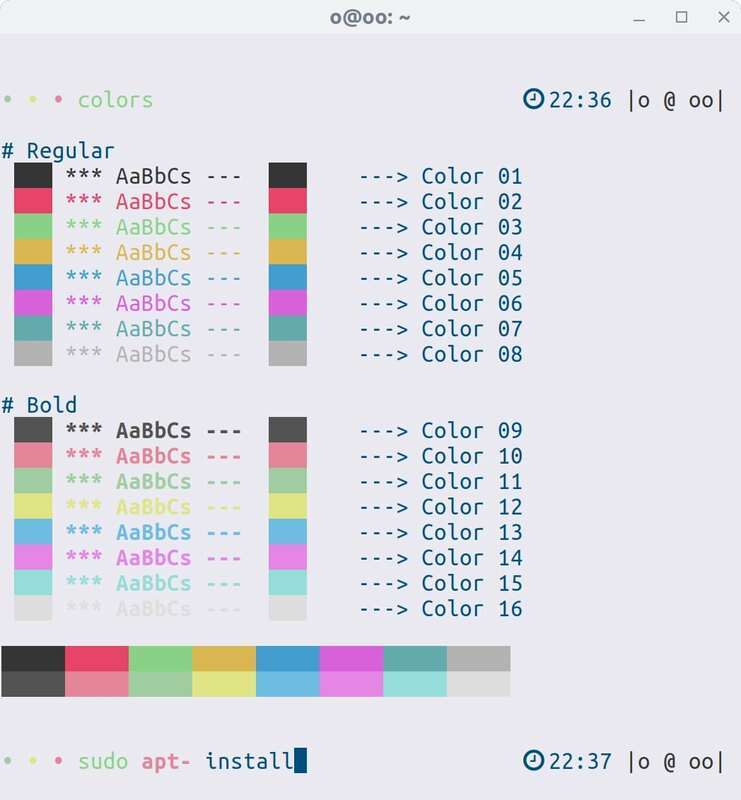 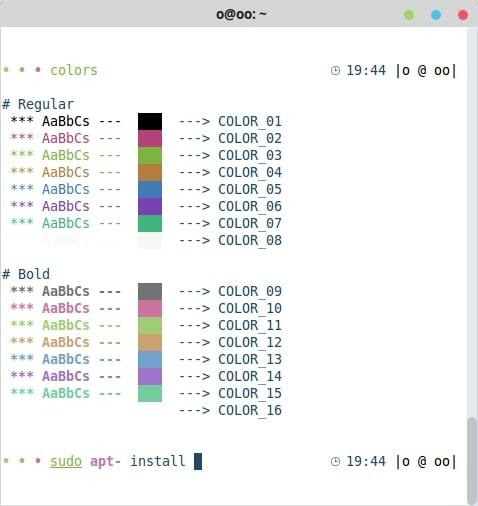 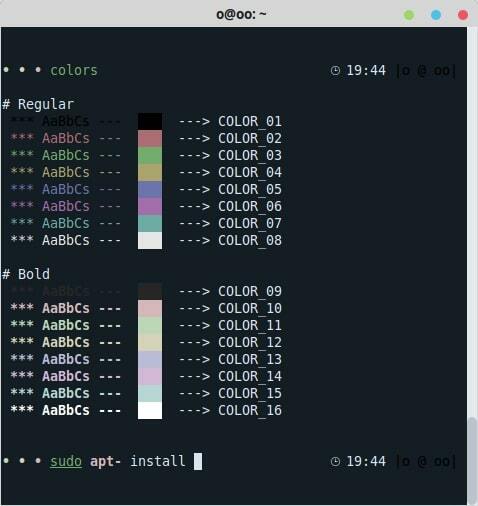 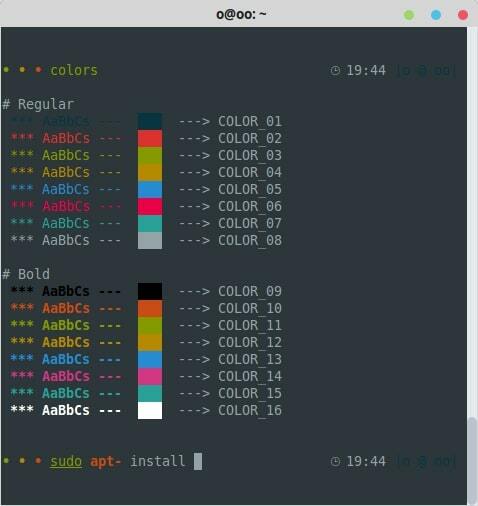 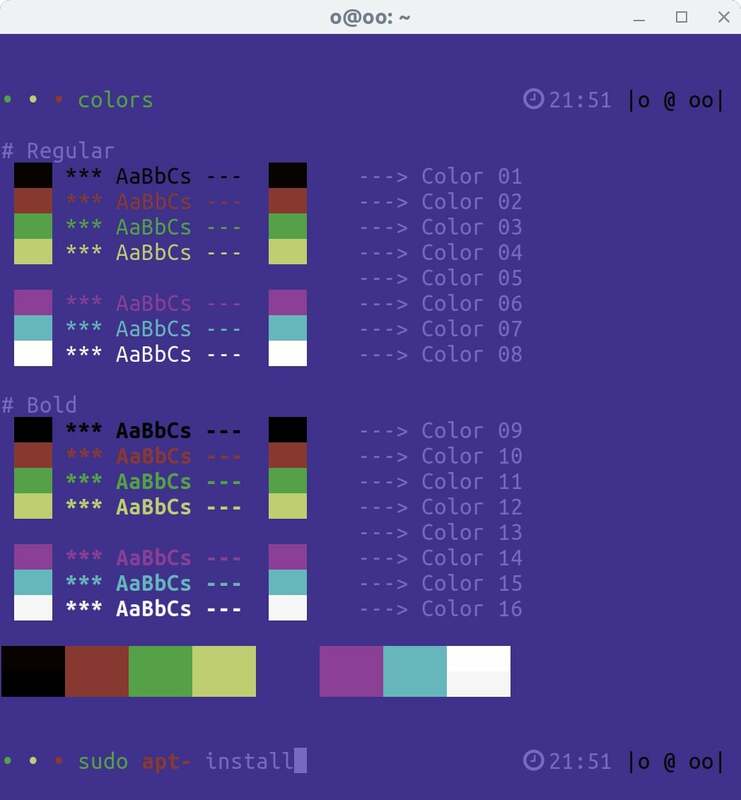 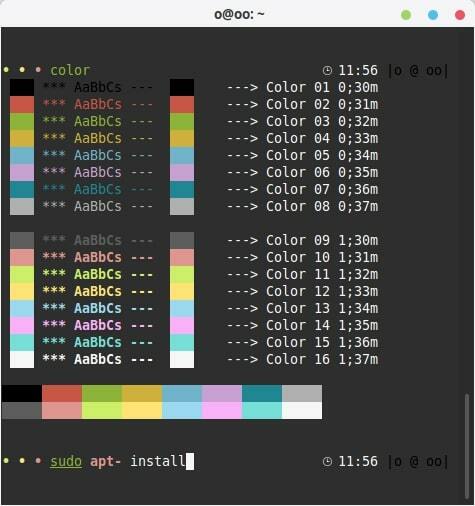 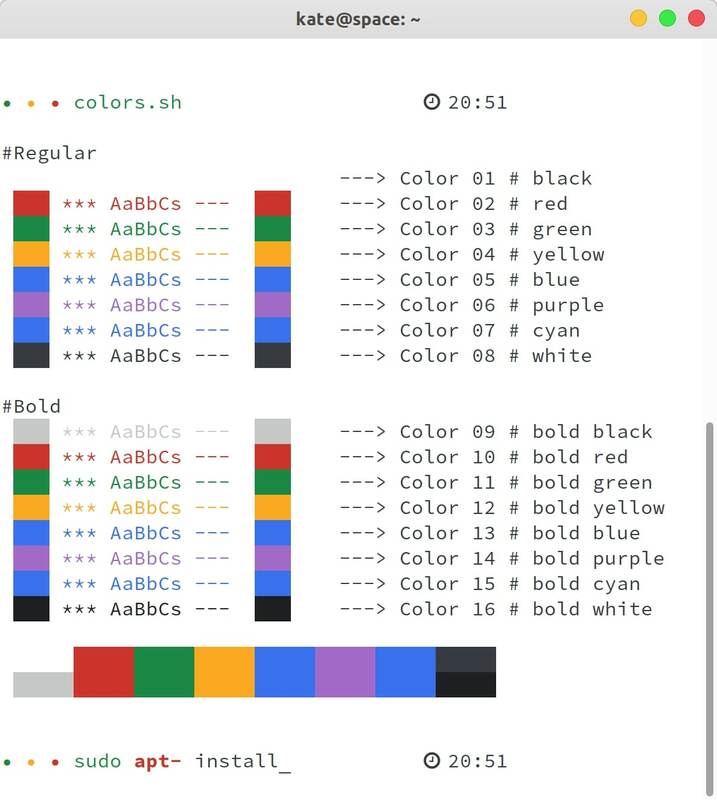 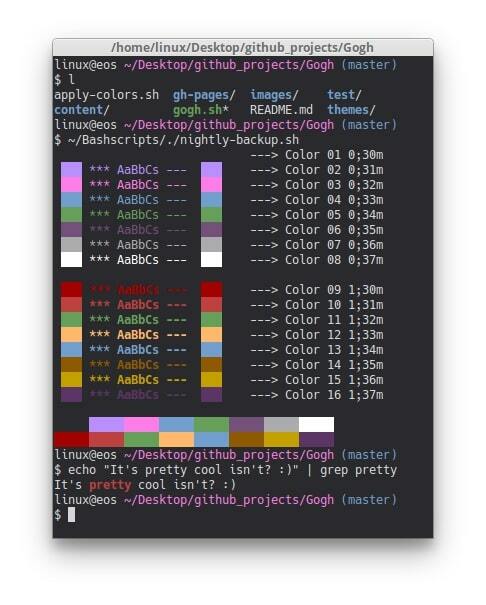 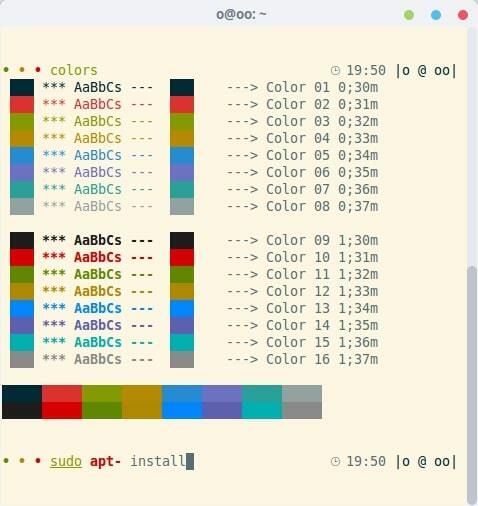 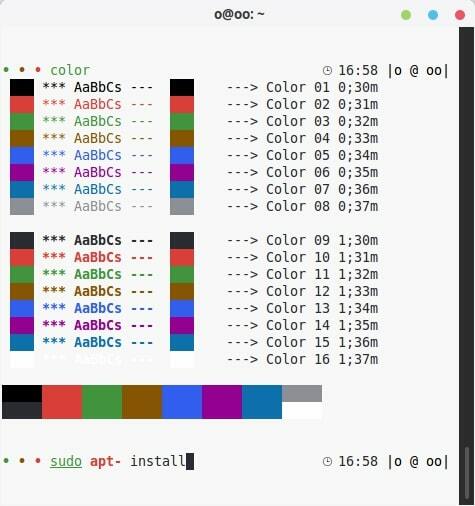 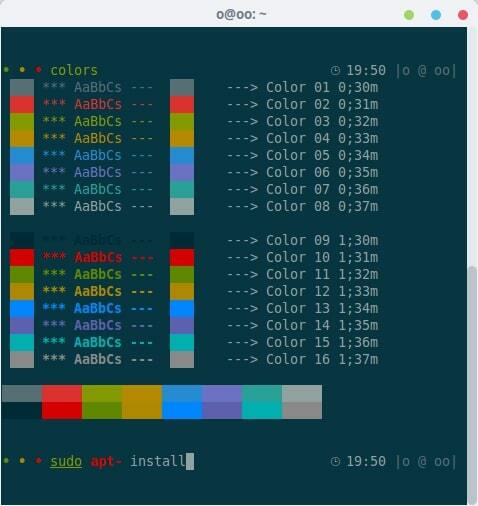 Color Schemes For Ubuntu, Linux Mint, Elementary OS and all distributions that use gnome terminal or Pantheon Terminal, initially inspired by Elementary OS Luna. 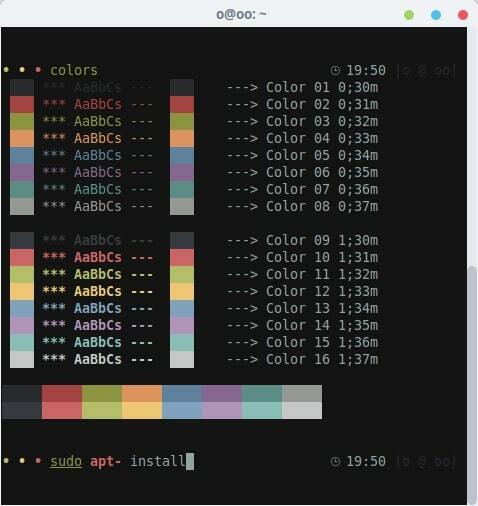 Just copy and paste One line command. 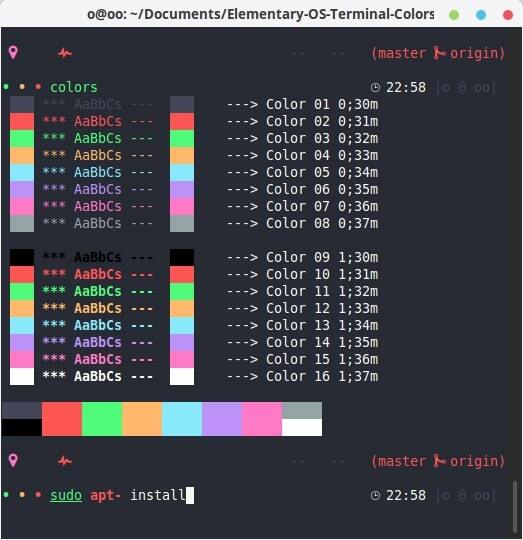 $  bash -c  "$(wget -qO- https://git.io/vQgMr)"
$  bash -c  "$(curl -sLo- https://git.io/vQgMr)"